There are no greater ambassadors for Tulane than those in our marching band. Saturday night was the first parade of the Mardi Gras season and we bussed over to Slidell for Poseidon. Think these kids aren't athletes? They started their stretching and warmups a little after 5pm. The parade kicked off at 6. They proceeded to march 5 miles while carrying heavy instruments, dancing, high-kicking and playing a number of songs. I can't guess how many gallons of water they consumed before we got to the disbanding area at 10:30. Every kid along the parade route that stuck out a hand got a smile and high-fives from the band members.. 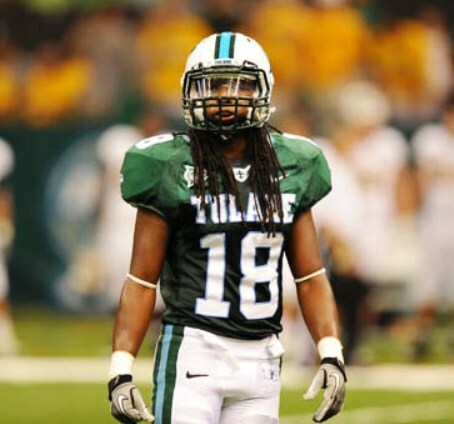 So many times I heard comments such as: "Wow...these guys are really good", "that's Tulane! ", and "thank you for coming to our parade!" You can't help but take pride in our university, our band, and each of these kids. Oh yeah. All this with no place to pee. There's that. Afterward, you'll feel selfish for having taken the opportunity. I promise you'll want to do it again.